OUR PRICE: $29.75 - Join Rewards Get $2 Dance Dollars On This Item! Suggested Fitting: Boys order same as street. My daughter usually wears a women's size 7, what size would I order in this shoe? Thank you for your question. The 443B is the child's (boys) shoe. You would need to order the 443 which is the adult version. The recommended sizing for women is 1.5 sizes smaller than street shoe. 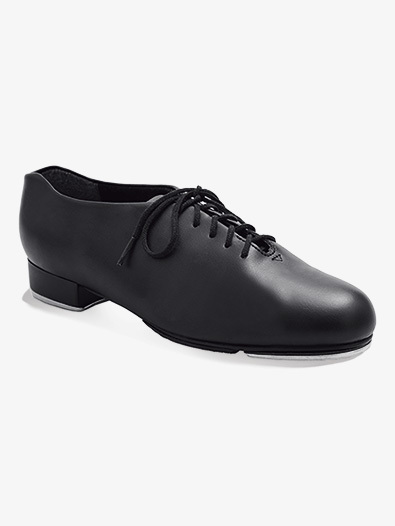 I am trying to buy Boys "Tic Tap Toe" Lace-UP tap shoes style No:443B. I am not sure which size is good for my son. His shoe size is 10 18 cm. Which size should I choose? Thank you for your question. It is recommended for boys to order same as street shoe. This is based on the manufacturer suggested sizing.